The EKC is a tablet counting device for Automated Pharmacy applications and forms part of an integrated tablet counting and filling system in which a central controller commands multiple EKC units. 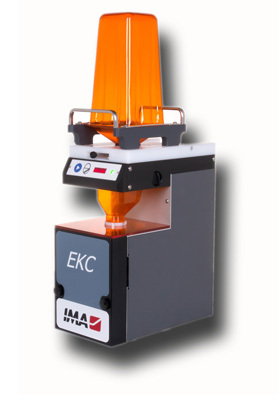 The EKC counter, with optional removable canister, is the perfect solution for high volume mail-order pharmacies and central fill and specialty systems. 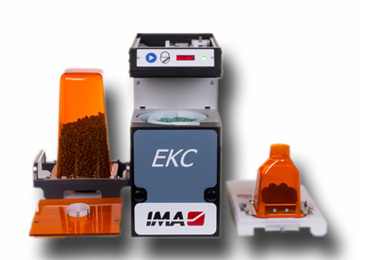 THE MODEL 3410-DRS EKC AUTOMATIC PILL COUNTER is the latest iteration of the proven EKC. Designed for higher installation density and ease of use, it features pill counting technology that is 100% accurate and completely immune to dust. Based on proven technology, the sensor is 100% accurate and virtually immune to dust build up.